I have a 2012 S-MAX 2.2 diesel auto. When you’re accelerating at low speeds in low revs the engine tends to falter and judder and fails to accelerate and then will finally accelerate. It also tends to jolt when you release the brake in stop start traffic and lurches forward quite violently. We were on holiday in Cornwall last week and after we went up a slight hill the engine management light came on. We took it to a Ford garage and they said it was the EGR valve. They replaced it and said we would be fine but after 2 days the problem came back as did the engine management light. We took it back and they said it was the air temperature and air flow sensors so they were replaced along with their sensors. Then last night as we were bombing down the A303 the engine management light came on again, disaster! We ignored it and ploughed on for another 200 miles. Then as we joined the M3, the engine malfunction warning came up on the dashboard and the turbo seemingly shut down as we were failing to actually accelerate. Has anyone had this problem or got any suggestions as we are worried we’re going to end up spending thousands of pounds and then be told the car is a write off! What colour is the Engine management light now? sounds like it has gone in to Limp Mode which will reduce power considerably. To help diagnose, you'll need a laptop, Forscan software (free) and an ODBII cable https://tunnelrat-electronics.fwscart.com/USB_Modified_ELM327/p4541936_17045457.aspx This will allow you to retrieve the error codes and description from the car and from there help you identify what is wrong. Unfortunately, you'll need to get the error codes before anyone can suggest anything. I have a 2011 2.2 diesel (but manual) and my car used to struggle to pull away and bog down, which made things interesting when pulling out of junctions. 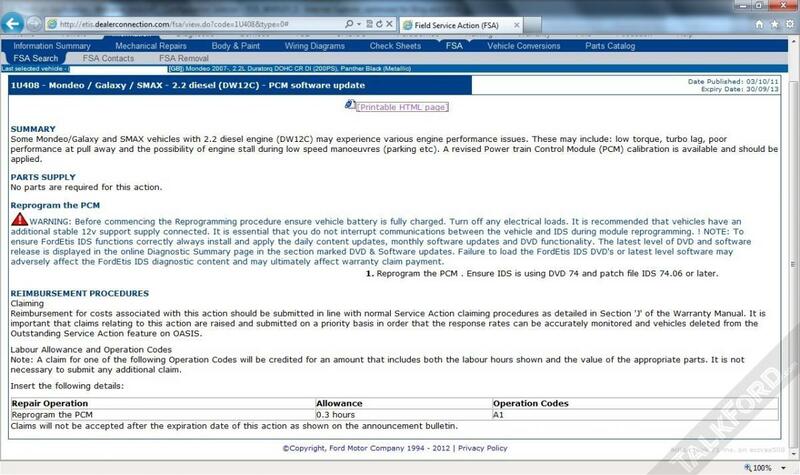 This was resolved by a PCM update from Ford and was done FOC at the time, but I suspect it is now chargeable if your car needs it. After the update, the car was completely different to drive; the response from the engine was much improved and it wouldn't bog down so easily. This was the info that the dealers had at the time. Thanks for that suggestion, I think my problem is more mechanical as its juddering and it has another fault with seemingly the gearbox. 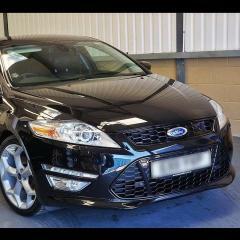 It's going into ford to be looked at tomorrow so I'll suggest this to them! Well, good luck with it, hope it gets sorted. Print this off for them though as others have experienced problems with the dealers not knowing anything about this. I was thinking along the lines that when the engine is off boost (below 1800 rpm before I had the update) the engine was completely guttless and therefore maybe it translates to juddering on the auto. Is it Auto or a Powershift that you have? I know that the Powershift box really must have its scheduled service (oil + filter? change) at the suggested intervals or there could be problems. Hi all I have a Ford s max 2.0tdci which is shuddering while driving and randomly cuts out while I'm driving hot or cold it happens.